Make memories of a lifetime at the Father/Daughter Dance at the Osage Centre! Charlie’s Music Revue will be playing all your favorite hits, while you enjoy pizza, hamburgers and other appetizers. Seating is first come, first served. This event is for dads and daughters of all ages. 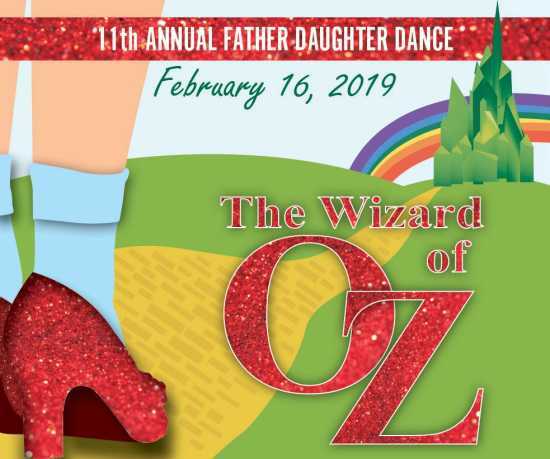 The 2019 theme is Wizard of Oz and the dance will take place on February 16, 2019 at the Osage Centre from 6:00 p.m. - 9:00 p.m.
Tickets go on sale January 7 and can be purchased at the A. C. Brase Arena or Osage Centre. After February 10, 2019 tickets will be $35.00 per couple and $8.00 each additional daughter.